Saturday morning, before the great deluge, we headed out to the park to help with our second BREC Outdoor Adventure event in as many weekends. 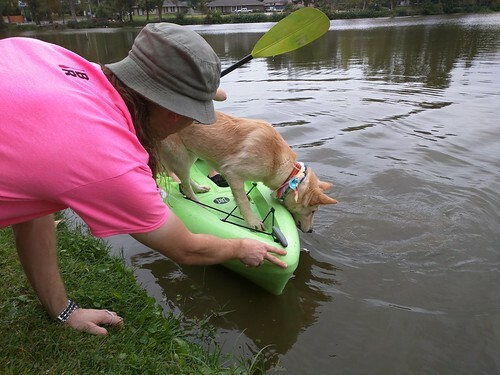 BREC’s Paddling In Pink may have been brighter, but Pets ‘N Paddling certainly won paws down in average legs per vessel. 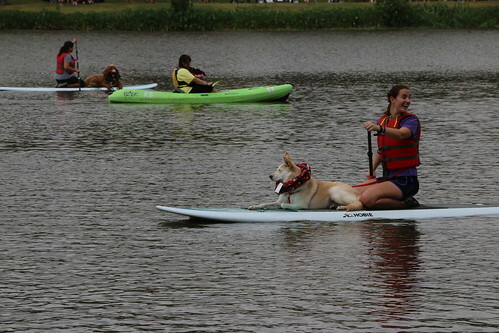 This was the first time we’d helped with Pets ‘N Paddling, but it will not be the last. We had a great time helping people and pups onto and off of the water. Most of the dogs seemed rather unsettled by the concept of getting in a boat (or on a paddleboard), but once they were underway on the giant water dish, almost all of them looked to be having a blast. Turnout was very good. We brought a trailer of canoes to supplement what BREC and The Backpacker brought. It wasn’t long into the event before we grabbed them, too. 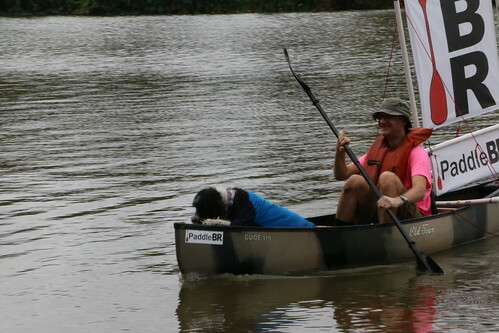 It was all hands on deck, with people, dogs, and paddlecraft all over. We didn’t have a chance to browse everything under the canopies up front, as we were working the bank almost nonstop. The volunteers working with the PFDs and loading/unloading were also very helpful. If you were there, we have two photo albums you can look through. 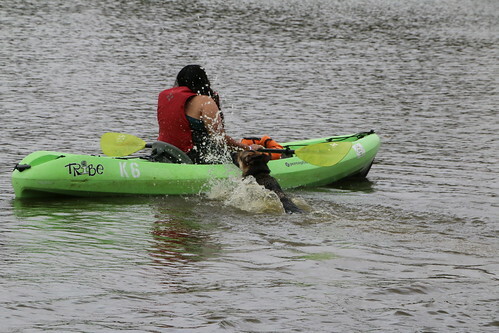 There’s Mike’s Pets ‘N Paddling album, and BREC Outdoor Adventure also posted a Pets ‘N Paddling facebook photo album. It was a perfect day for paddling, and wouldn’t you know, the rain started as a mere sprinkle just as we were finishing loading up. The water was extremely low for Paddling In Pink and Pets ‘N Paddling, but Thursday’s Pumpkin Paddle Parade will provide plenty.